The organizing committee, GERLI, SFN, SFEL and GLN scientific boards are pleased to welcome you at the 15th GERLI international Lipidomics meeting, which is taking place at the Centre de Transfert, Université de Technologie of Compiègne, from september 30th to october 2rd, 2019. The scientific program will be mostly dedicated to lipid and fatty acids biodiversity in living world and their role in cells. Under the title “Biodiversity of lipid species – Benefit for nutrition and Effects on health”, we would like to gather researchers from various areas with common interested for the exploration / exploitation of this diversity, the physical chemistry of unusual lipids and fatty acids, the metabolism leading to these different structures, their impact on the diseases, their effect on health and their various applications in biotechnology, pharmacology and nutrition. Compiègne is located at 80 km in the north of Paris at the middle of the one of the largest forest areas in France. The forest of Compiègne is a royal creation: from the sixth century, it was the favorite hunting ground of French sovereigns and the French aristocracy under Napoleon III. It is here, that in 1360, Jean Le Bon introduced the franc; it was here that Joan of Arc was captured; it is in the forest of Compiègne that the the Armistice was signed on November 11, 1918.The Compiègne Palace is a former royal and imperial residence. Rebuilt under Louis XV at the place of a medieval castle. The castle was converted by Louis XVI according to a rather original triangular plan, which gives it an opening on both the city and the forest. The grand perspective of the Allee des Beaux-Monts, designed during the reign of Napoleon I, to evoke the perspective of Schönbrunn to the Archduchess of Austria Marie-Louise, makes the transition between the castle park and the forest. But it was under the Second Empire that the palace enjoyed its hours of glory with sumptuous parties, the series, organized by Napoleon III, in autumn, during the hunting season. This Palace actually houses 3 museums: the big imperial apartments, the museum of the second empire, and the national museum of old to current vehicles (17th-20th century). Toshihide Kobayashi : Lipid Biology Laboratory, Riken Advanced Science Institute, Wako Saitama, Japan. Enrike Martinez Force : Instituto de la Grasa, Bioquimica y Biologia Molecular de Procutos vegetales, Universidad Pablo de Olvide Edificio 46, Seville, Spain. Ed Dennis: University of California, San Diego, Department of Pharmacology, 9500 Gilman Drive, MC 0601, LA Jolla, USA. Tim Wooster, Nestlé Research Center, Lausanne, Switzerland. Magali Deleu : Gembloux Agro-Bio Tech, Université de Liège, Belgique. The meeting sessions will take place at the University of Technology of Compiègne, located not far from Paris in the Region Haut de France. The royal castle (Louis XV, Louis XVI) that is also the imperial palace of Napoleon is internationally known and will interest you for pleasant visits. We hope that this unique environment historic and technologic will stimulate scientific discussions and potential collaborations. 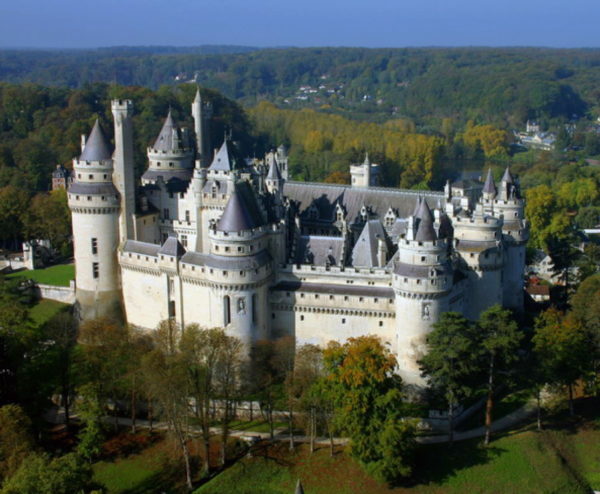 The gala dinner will take place in Pierrefonds after visiting the fortified castle built in XIV° siècle by the duc Louis d’Orléans and then, restored by the architect Violet le Duc during the XIXe siècle.